Eid preparations started with an all day trip with a local guy and his nephew. 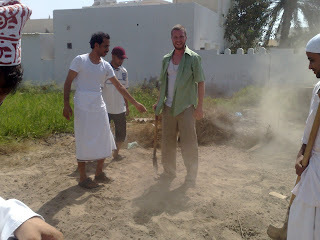 We went to their farm in Sharqiyah to buy some goats and wrestle them into a truck. The goats were not happy. Various souqs along our way back to Muscat supplied us with fruit, mats for sitting, fresh halwa, and other odds and ends. 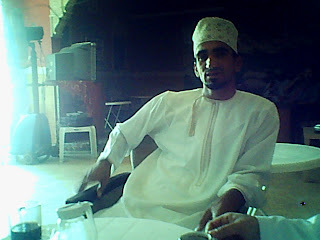 This was the last day of fasting and (with the exception of my first day in Dubai) the most difficult. and to God be the Praise. After the prayer, we all filed out for a special meal, followed by family visits. 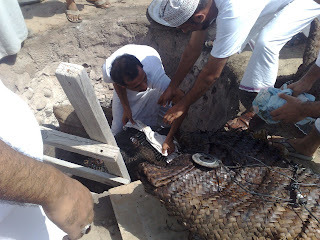 The next few days were more meals, a special traditional preparation of beef cooked all night in an underground oven (see the pictures), and lots of invitations to visit and drink coffee and eat halwa. I took the down time to watch a lot of movies (the selection is surprisingly good since I have cable) and delve deeper into Eric Wolf's Europe and the People Without History. Also met a Tunisian guy who is teaching sports out in a school in the desert, some 700 kilometers south of Muscat. We palled around during the Eid because basically we were the only two guys without family. 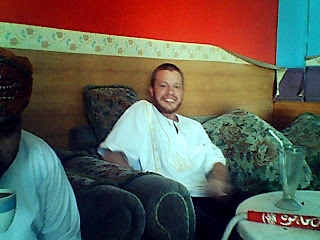 Now looking forward to next weeks move to stay with a Omani-Swahili family, and starting classes (FINALLY! ).